From this month, I would like to also share this on my blog, so will be posting these here in the first week of each month. Any suggestions on upcoming products, feel free to leave a comment below ! I was recently fortunate enough to review 3 exciting new products from the guys at Dion Wired, and being a GPS fanatic, was really excited to open the latest TomTom offering, the 1005 World Edition. 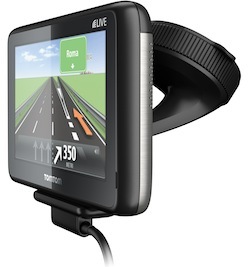 The TomTom 1005 World comes in at a fairly reasonable R4000 from Dion Wired, and is well worth it for the over 60 country maps that are included on the device. This included most of Europe, USA, Australia & Southern Africa. The fully capacitive 13cm touch screen, makes browsing on the device an absolute pleasure. The GPS also includes a years worth of TomTom live services, which means you can find any locations via Local Search with Google, Tripadvisor, Expedia and loads more. You can also even tweet your ETA of your destination ! The HD Traffic updates are another feature I really enjoyed, which meant I had real-time access to traffic incidents in the area. The GPS also comes with an Easy Click Magnetic Mount which makes docking and undocking your device a breeze. If you looking for an all round feature rich GPS device, I would highly recommend paying the few extra Rands for the 1005 World Edition. 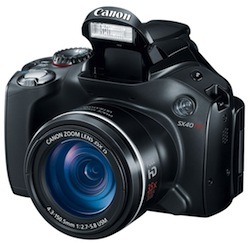 The PowerShot SX40 HS is a versatile compact 12. Megapixel point-and-shoot camera that easily captures amazing photos and videos. The advanced Canon technology delivers stunning image quality with reduced noise and blur, while the colours are more vibrant and white balance is true-to-life. The 35x Optical Zoom offers incredible reach and range, allowing you to shoot any scene, near or far. The Powershot comes ready to use out the box, and offers full 1080p HD Movie record as well. This camera is a must if you are looking for a easy, simple to use camera without all the technicalities of a DSLR camera. It seems the trend at the moment in the laptop market is, the thinner & lighter your laptop is, the more expensive it gets. 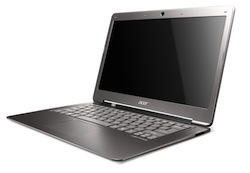 That said, the price tag associated with the new Acer Ultrabook RSE 02.033 is indicative of its sheer power & brilliance. The laptop boots up in record time, and sports a Intel Core i5 processor, with 4GB of Ram standard, and a versatile 250GB hard drive, while only weighing in at a measly 1.3kg’s. Microsoft Windows 7 is included as a default operating system as well. The machine does however lack a LAN port and a CD Rom drive, but both of these seem to be disappearing as we move into a wireless world. 2 SD Card reader, HDMI Port & 2 USB ports however makes up for these missing elements. The extra long battery life of 15 hours ensures you will never be left stranded without power. If you in the market for a laptop that is portable, versatile & super quick, I would highly recommend looking at the range of Acer Ultrabooks.